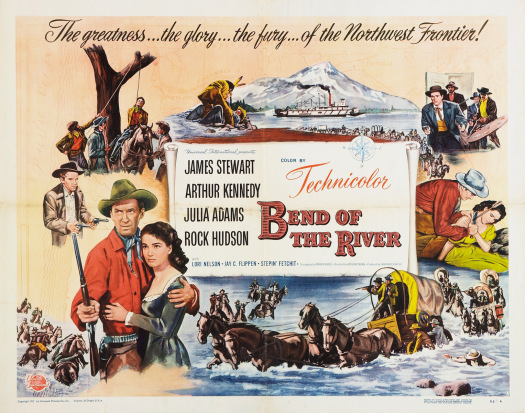 BEND OF THE RIVER, the second of the James Stewart/Anthony Mann Westerns, isn’t quite as good as the first, WINCHESTER ’73 . That’s not to say it isn’t a good film; it’s just hard to top that bona fide sagebrush classic. Stewart continues his post-war, harder edged characterizations as a man determined to change his ways, and is supported by a strong cast that includes a villainous turn by the underrated Arthur Kennedy . 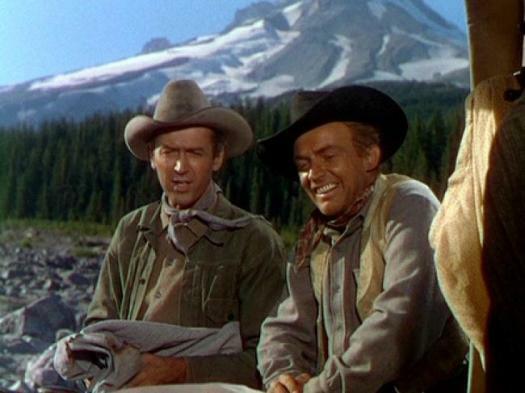 This entry was posted in Film, Film Review and tagged Anthony Mann, Arthur Kennedy, Bend of the River, Cracked Rear Viewer, Gary Loggins, James Stewart, Jay C Flippen, Julie Adams, Lori Nelson, Rock Hudson, Stepin Fetchit, Through the Shattered Lens, Universal-International, western. Bookmark the permalink.